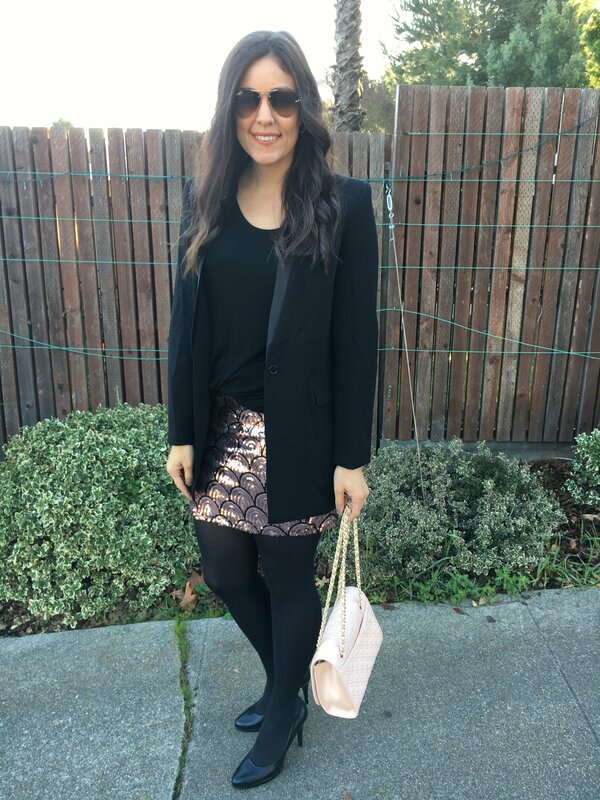 Give me some sequins and I’m a happy camper! 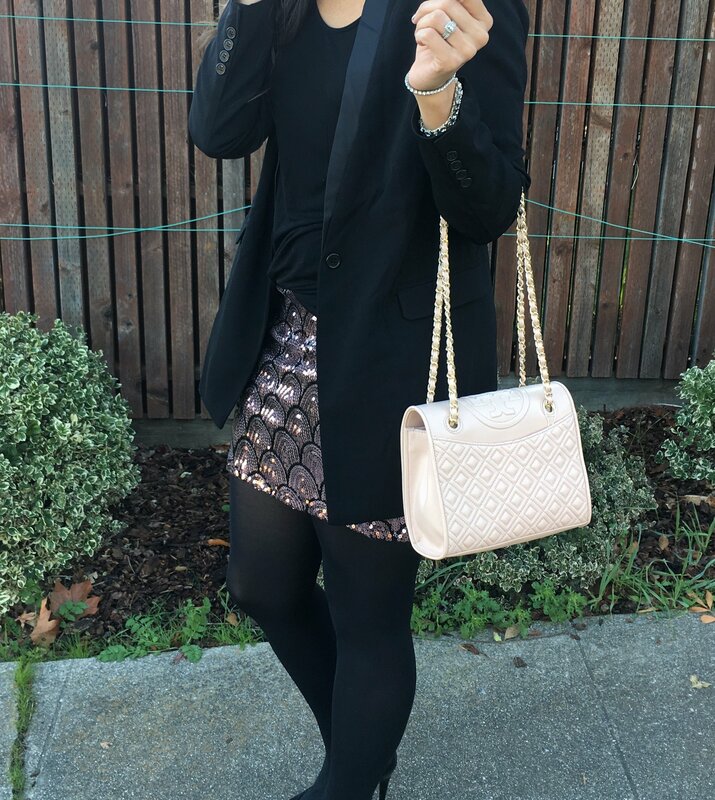 I love this sequin mini. My cousin actually bought it for herself a year or so ago, but never wore it and decided to pass it along my way! I’m so glad she did! I love it and it’s pink, my FAVORITE color. Pairing it with all black makes it super wearable for really any Holiday/NYE party you’re going to. Thanks for stopping by, hope you’re having a great week!